Lucas Matthysse, pictured on the left hand side, will be squaring off with Lamont Peterson for Peterson’s IBF world championship at a 140 pounds. For all intents and purposes, tomorrow night’s IBF junior welterweight championship showdown between Lucas Matthysse and Lamont Peterson will crown the undisputed number one contender for the championship held by Danny Garcia. Both are looked upon as quite good and hungry contenders. Matthysse has had an uprising in acclaim from boxing purists, and Peterson has been the holy grail of the division when he fought then-champion, Amir Khan. Both fighters however are far from the notoriety and money that comes along with it, that they each wish to attain. For Matthysse, he may have caught the purists’ attention, but he still has two (albeit highly debated) defeats on his dossier against the most recognizable names he has fought in the sport. Whereas Peterson has been to the highest of high opportunities, fighting and defeating U.K. star, Amir Khan. Only to have the best moment of his career completely tainted by testing positive for PEDs following the fight. So a victory for either man, in whatever fashion, would be the biggest accomplishment in each’s respective careers. The Argentine knockout artist, Lucas Matthysse, has been claiming for a year or so that he deserves his chance to become the division’s champion. 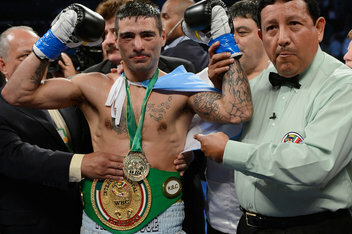 Truth is though, Matthysse has not quite garnered the recognition, nor fame that would make his assertion indisputable. A victory over the tested and respected Peterson, could then make his claim for the challenge of the division’s championship uncontested. Even though most see Matthysse as an undefeated fighter, his two defeats to Devon Alexander and Zab Judah, loom in the shadows. So a bit of redemption is here for Matthysse to prove he does not just KO ordinary opponents. Lamont Peterson, as said before, actually did reach the summit of the division, only to have what was a shining moment wrestled away from his career. The Washington D.C. bred Peterson, was a big underdog heading into his duel with the more decorated Amir Khan. Peterson would seemingly upend the odds in front of a loud, hometown crowd by gaining a razor-thin decision over Khan. The victory made him the champion of the division and a newly highly sought after commodity in the sport. Within months however, it turned out that the testing requested by Peterson himself would detect Peterson using supplements not found legal during the fight. Peterson to this day says it was unintentional. The WBA stripped Peterson of his title. The IBF however, did not. Thus Peterson still reigns as the IBF junior welterweight champion. Redemption, like his adversary Matthysse, is one of the words to describe what is on the line. Both Peterson and Matthysse have a bit in common it seems. Both are warriors in the ring, which will more than likely make for a crowd pleasing fight. Peterson always comes to out fight his opponents and Matthysse welcomes one with a grin. Which is why this publication has to go with Matthysse on this one. Their hearts and will may be of the same size, but Matthysse brings a bigger gun with an armor more difficult to break. In simple terms: Matthysse possesses the bigger punch and more sturdy chin. Which, in a war, are tremendous traits to have. Peterson may even be the quicker man with the ability to win this fight on the outside. Truth is, though, Peterson has never implemented that into his style. Peterson likes the toe to toe, but a one-punch knockout artist he is not. Matthysse however, is. So when Peterson lands, even with combinations, he is still there to be found and nobody wants to be found by Lucas Matthysse. If Peterson sees that early on he can not win doing his usual come forward style, there are slim odds that Peterson could implement something different. Nobody learns something as sophisticated as circling the ring effectively overnight. Peterson has never showcased such an ability. Saturday night in Atlantic City should provide fans with a real crowd pleasing fight. Because of Peterson’s warrior instinct he may gain fans despite a loss. The same goes for Matthysse. But make no mistake, neither one of these men like being bridesmaids. So each fighter is coming to win. At some point during the scheduled twelve rounds, each fighter will have their moments. It will presumably be a competitive affair, back and forth. Peterson though, may be there for Matthysse too much for his own good. Peterson has been down in multiple fights in his career, but has shown a warrior’s spirit each time. That warrior spirit however, will not be enough for Matthysse. If a knockout artist is given several opportunities for the chin, then the chances for a knockout are highly raised. The knockout artist as said multiple times is Lucas Matthysse. With that said, Matthysse will finally show the world he is a contender and not a pretender. 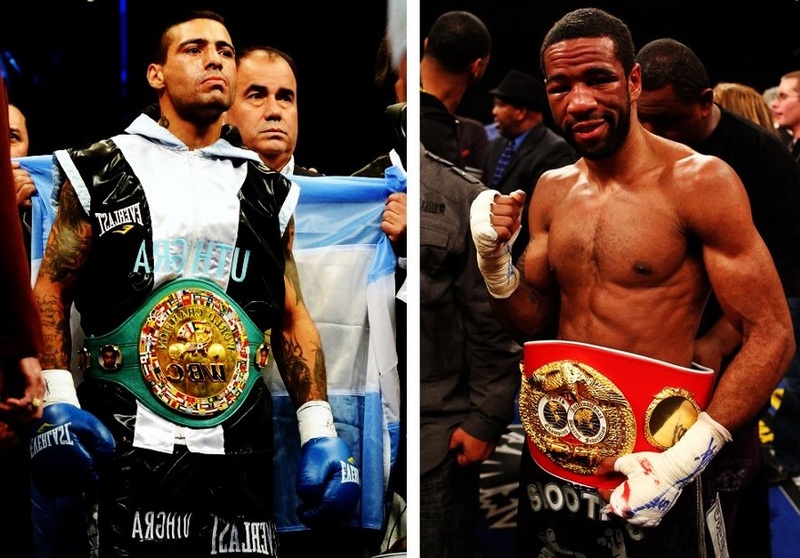 At the end of what should be a very good fight, Lucas Matthysse will emerge the victor. BRB’s FINAL PREDICTION: LUCAS MATTHYSSE VIA LATE ROUND KO. ← Mayweather looks sensational, dominates Guerrero.